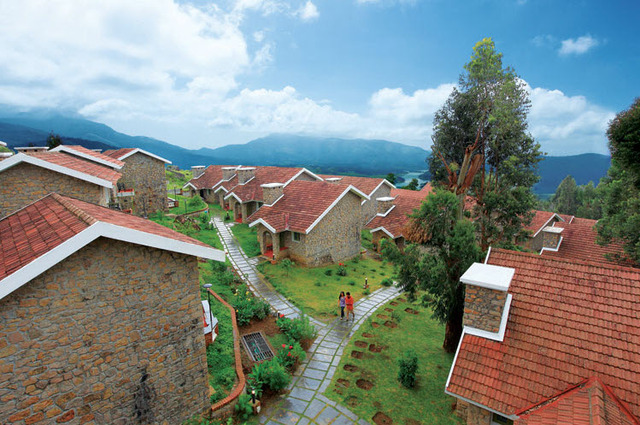 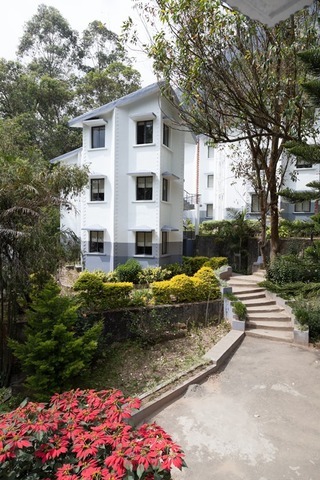 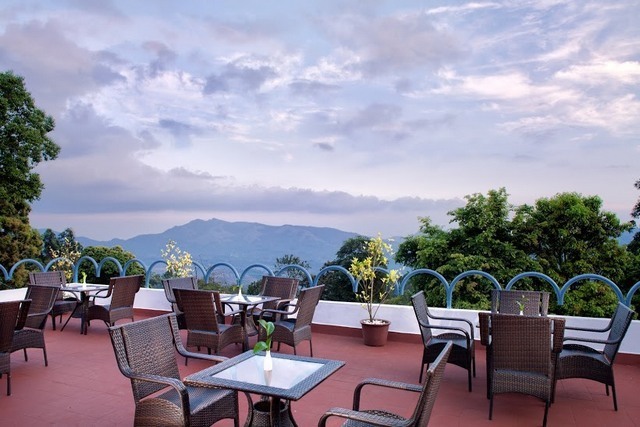 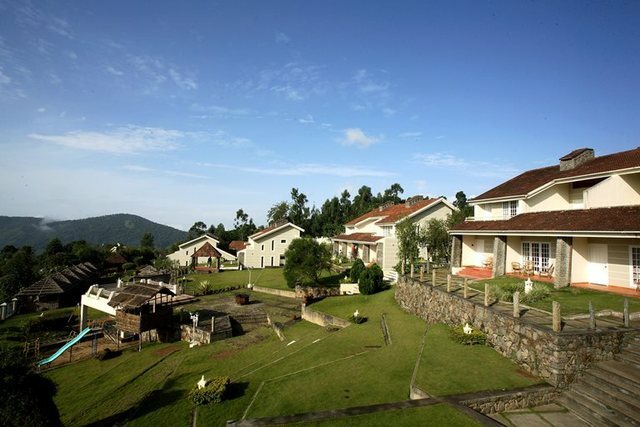 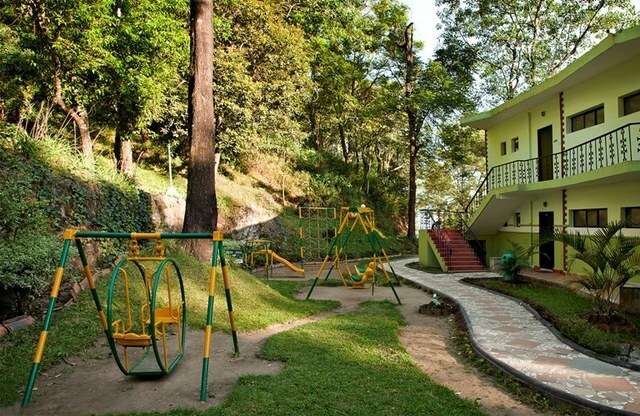 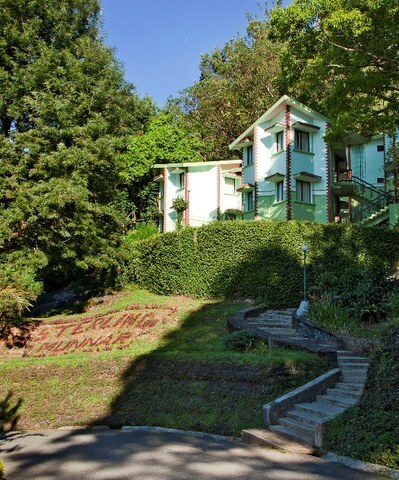 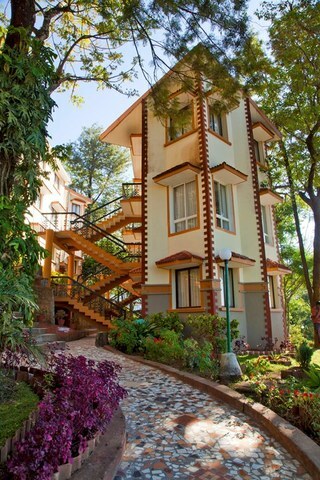 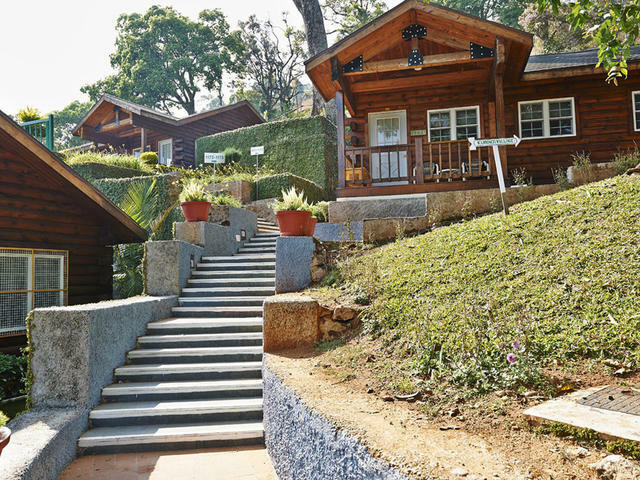 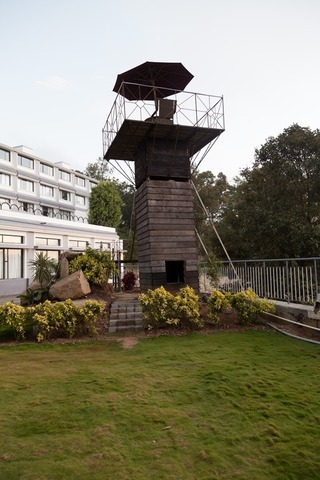 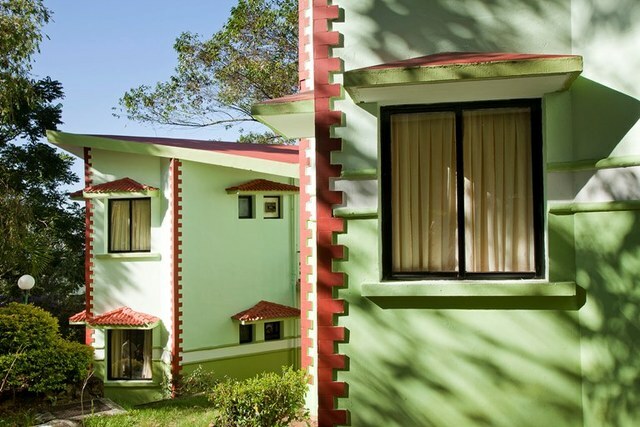 Nestled amidst verdant hills, this resort features winding pathways, shrouded by greenery, apt for leisurely walks. 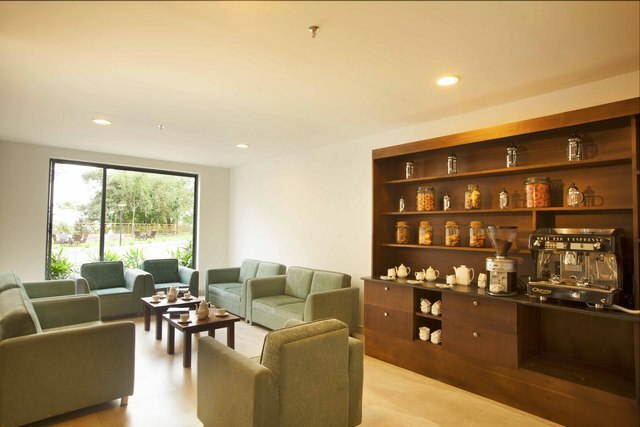 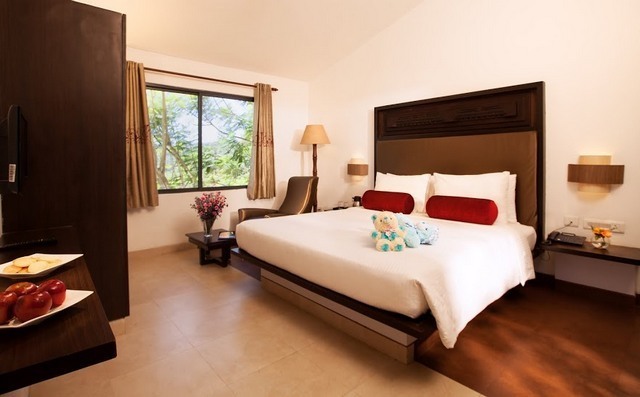 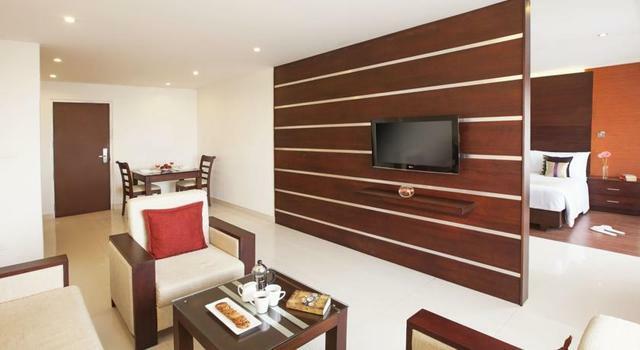 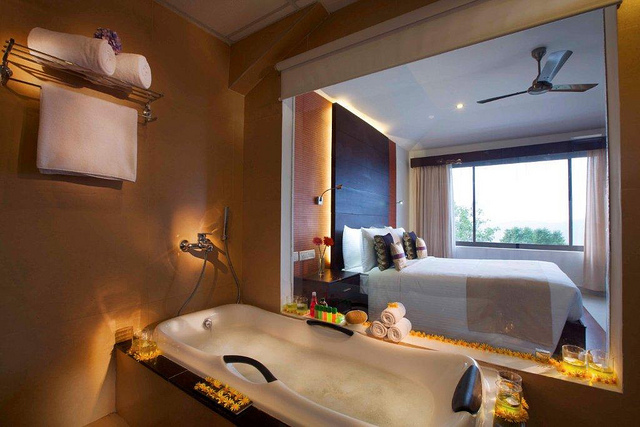 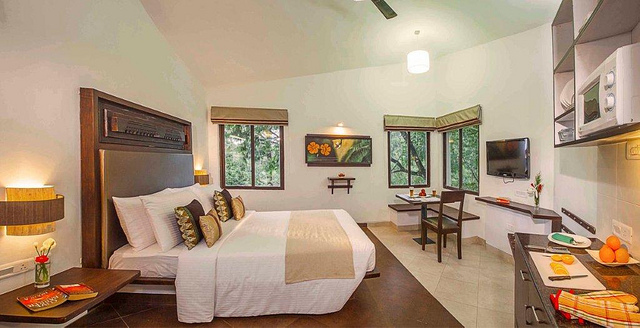 Equipped with dark wooden furniture and subtle hues, the rooms are apt for a laid-back vacation. 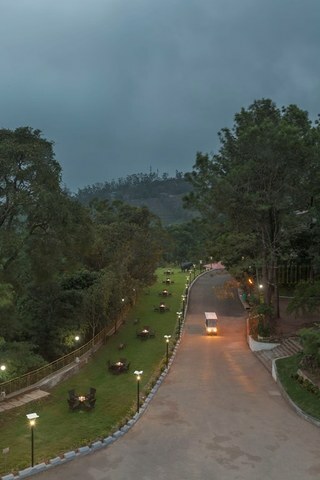 The mist covered setting creates a magical ambience! 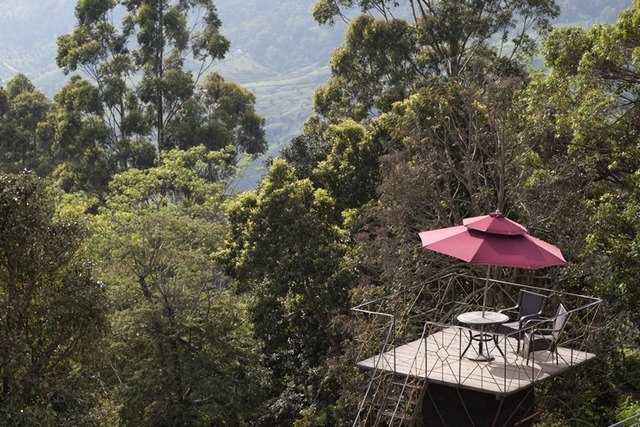 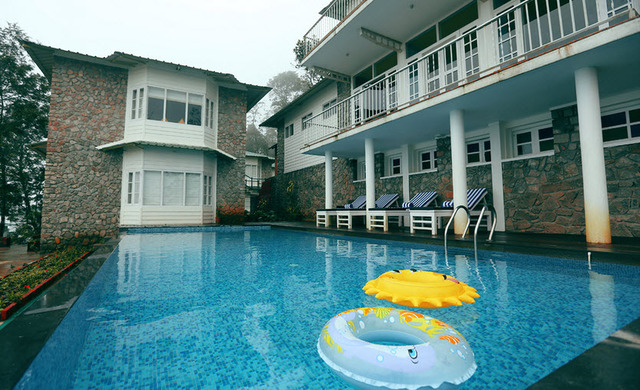 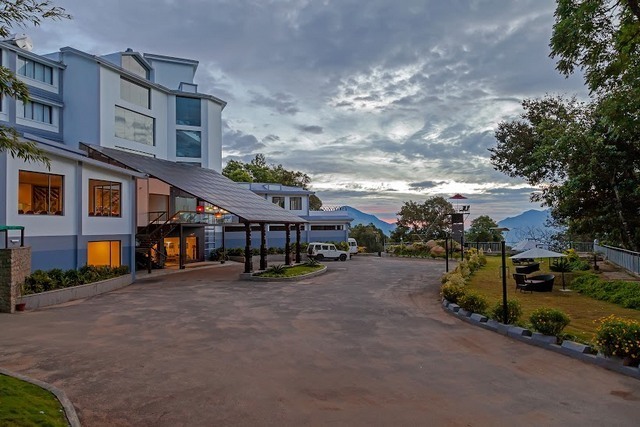 Nestled amid scenic hills, a little away from the buzzing town, Sterling Munnar is a posh 4-star resort in Munnar with modern architecture and classy interiors. 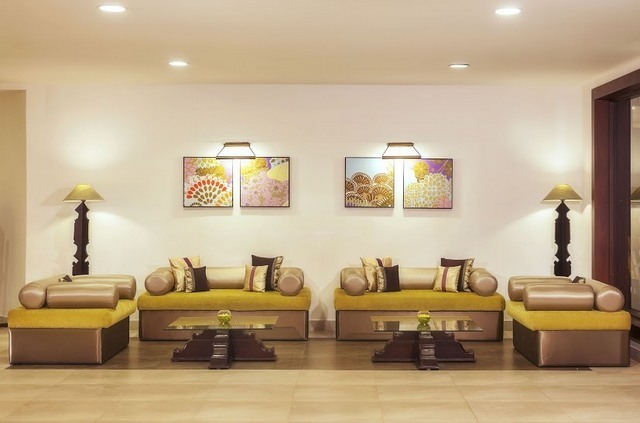 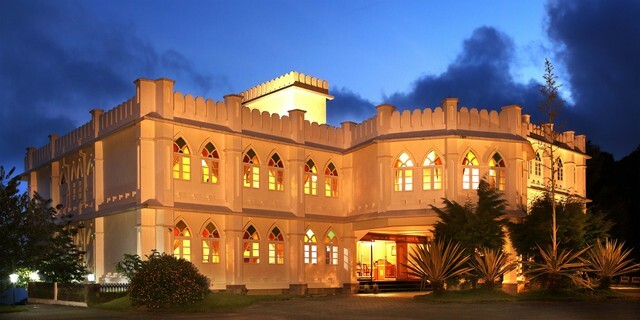 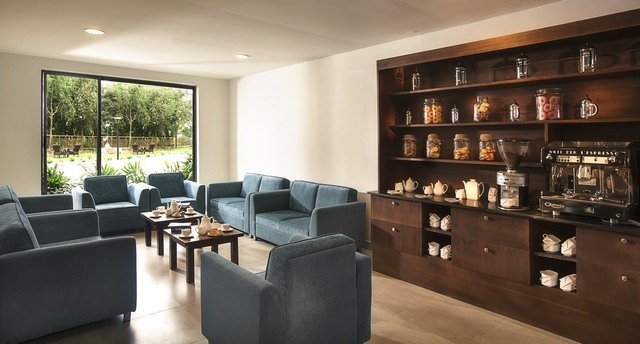 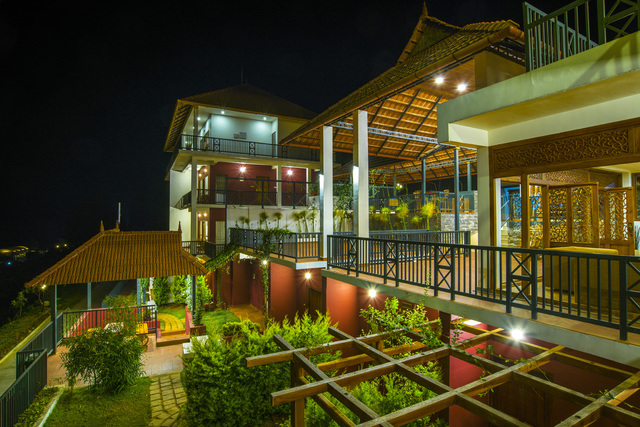 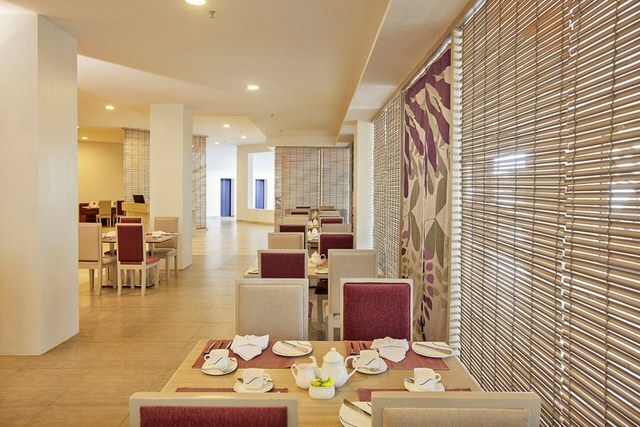 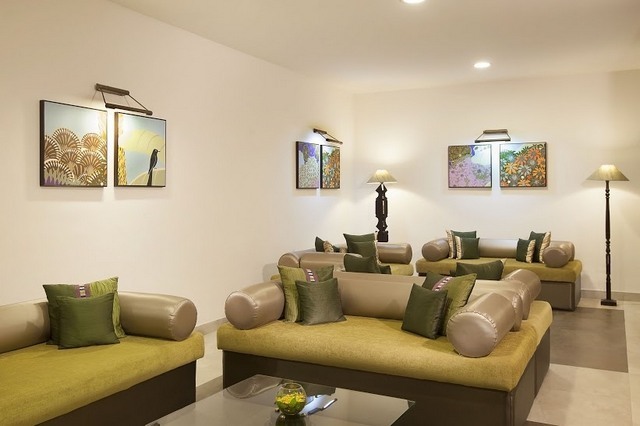 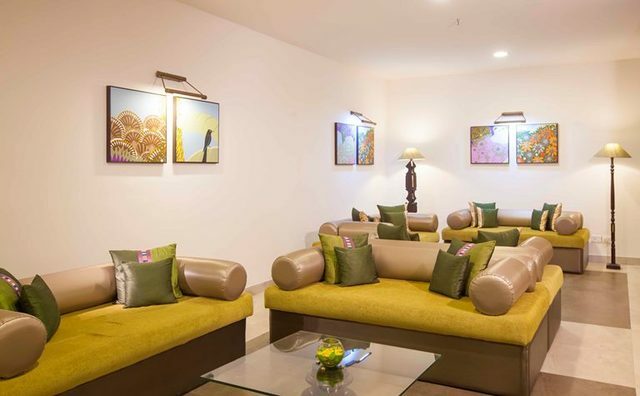 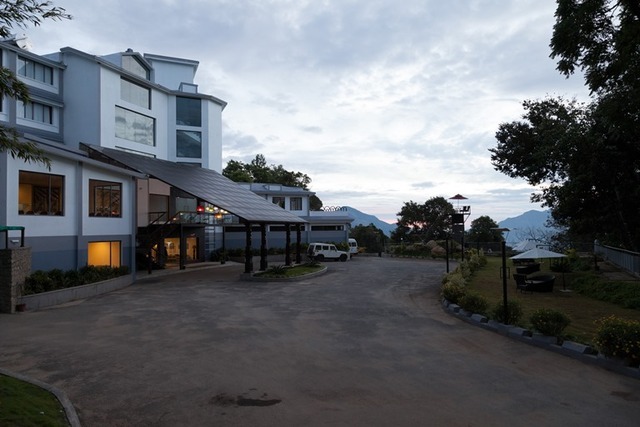 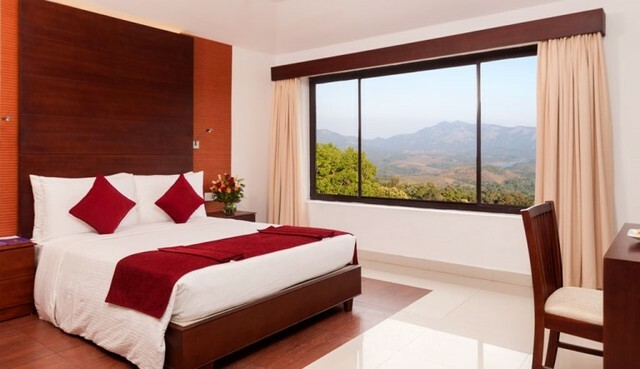 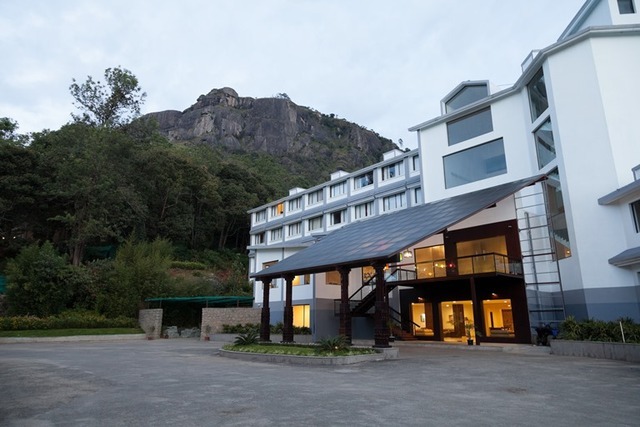 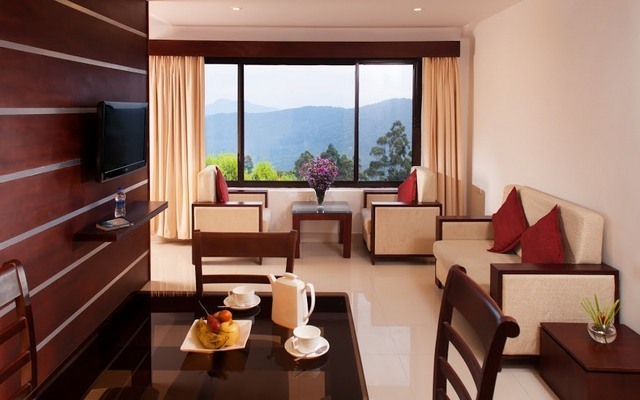 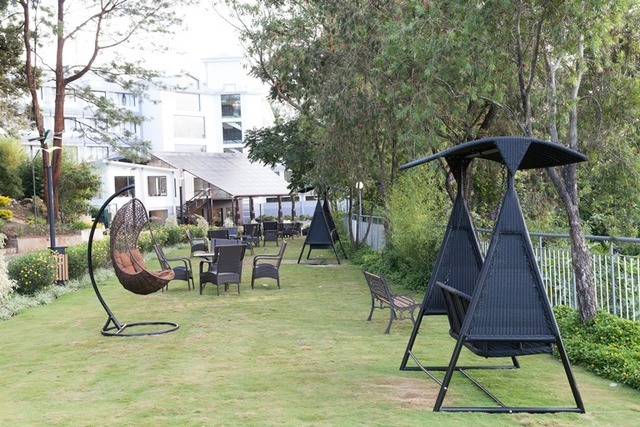 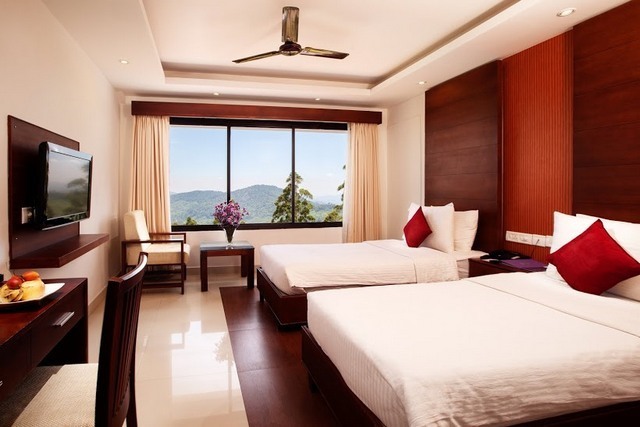 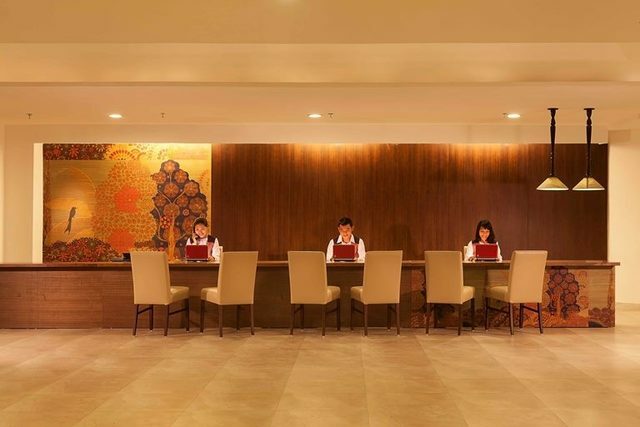 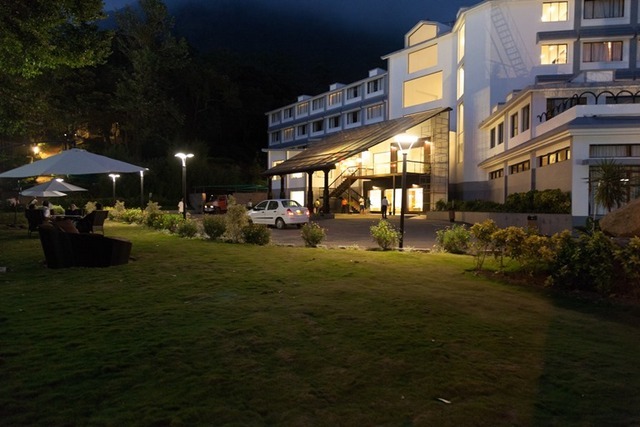 It is a luxury resort in Munnar that offers elegant guest rooms and suites tastefully designed in contemporary style with comfy beds, fresh linens, attractive light effects, a sleek work desk and seating area. 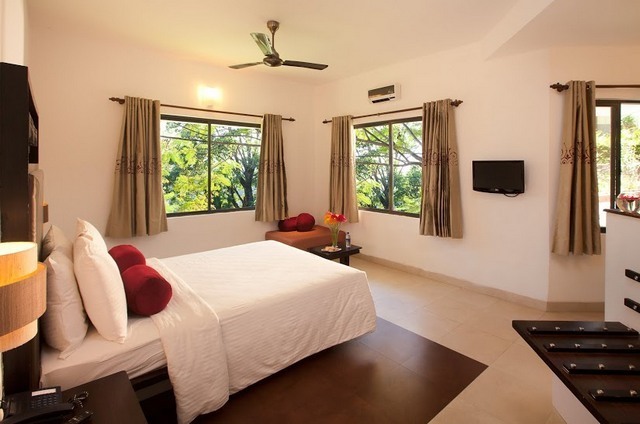 A flat screen television featuring satellite channels, a tea/coffee maker and an attached bath with modern shower facilities, a bathtub, fluffy towels and hair dryer among others are present in the rooms. 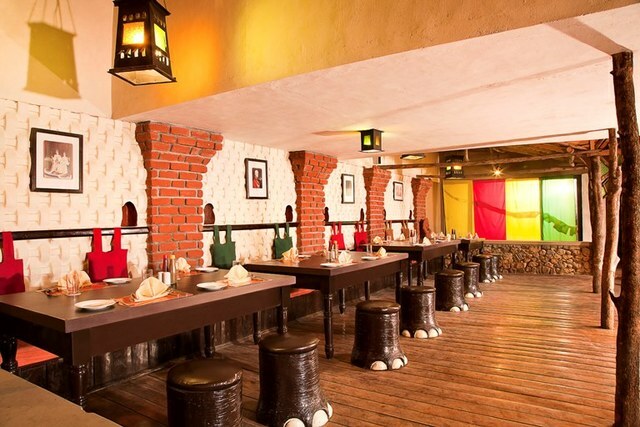 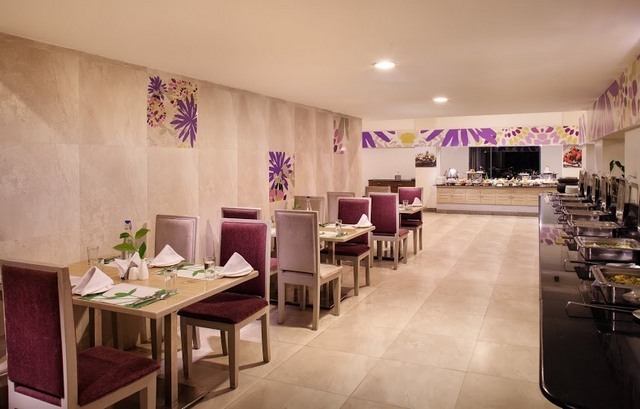 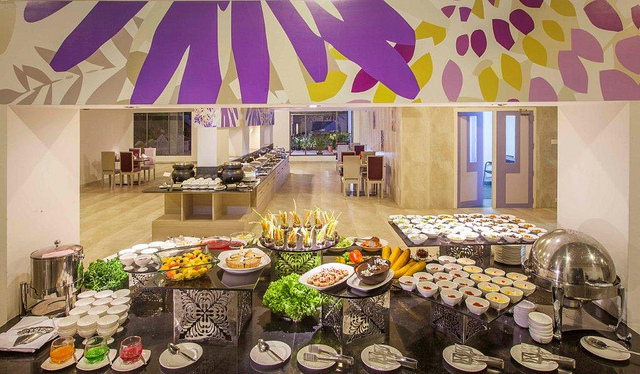 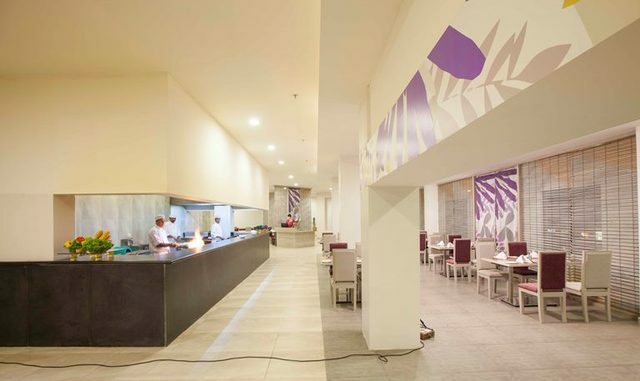 Guests will be treated to a delightful dining experience at the in-house restaurant which is a modish space with an array of flavourful cuisines to choose from. 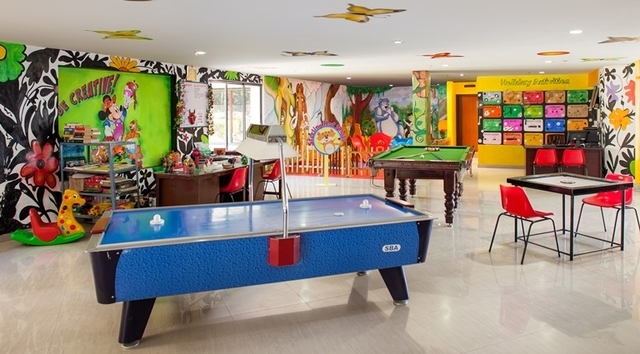 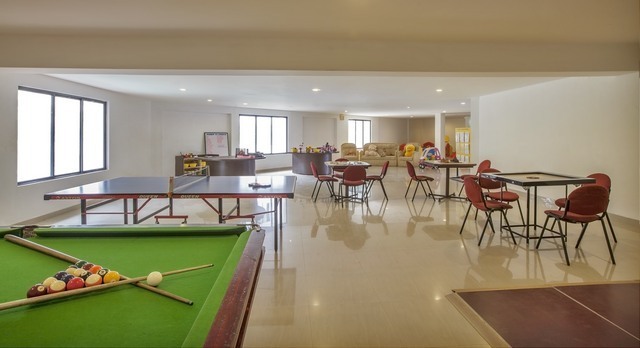 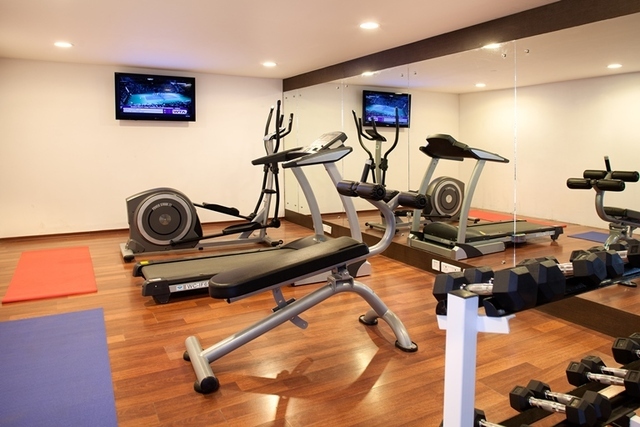 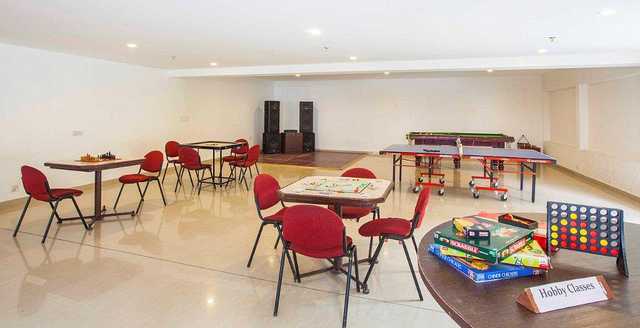 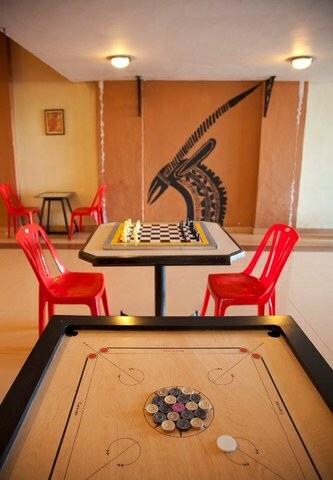 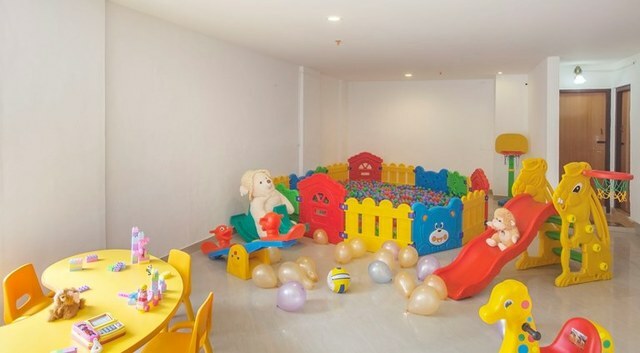 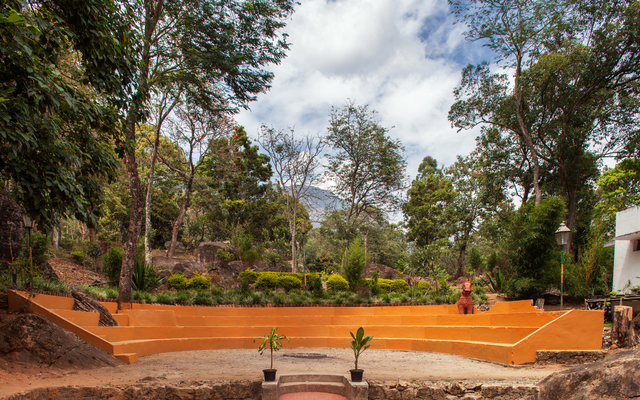 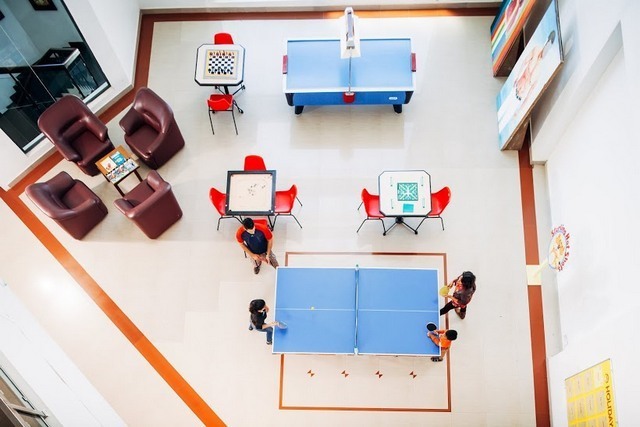 Sterling Munnar also features an indoor and outdoor kids play area, modern table tennis, pool and spa as recreational activities. 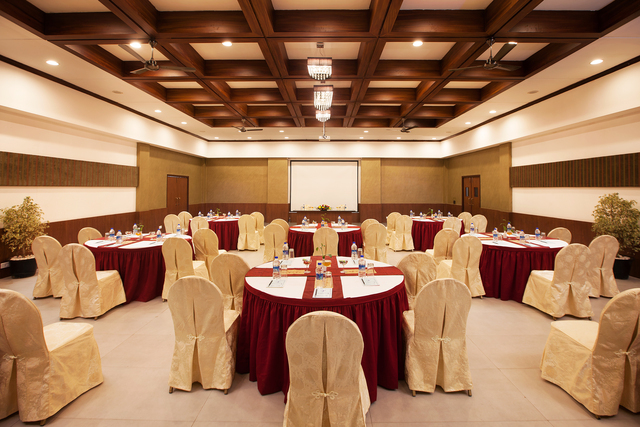 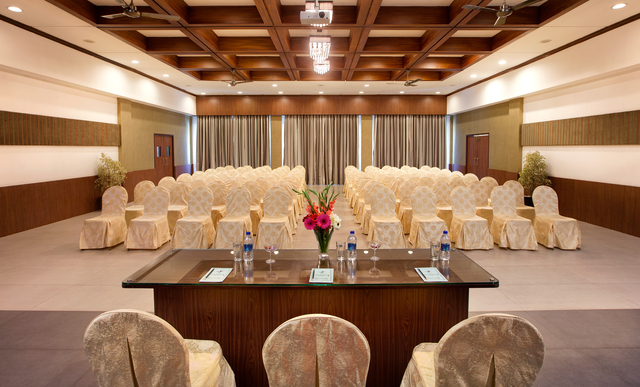 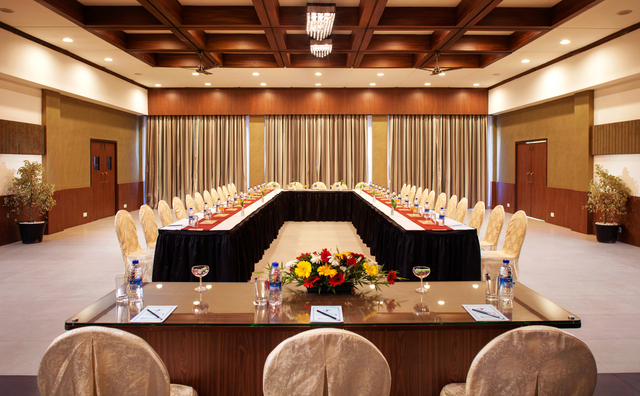 An opulent space is dedicated to provide conference and banquet facilities for corporate and social gatherings as well as for weddings. 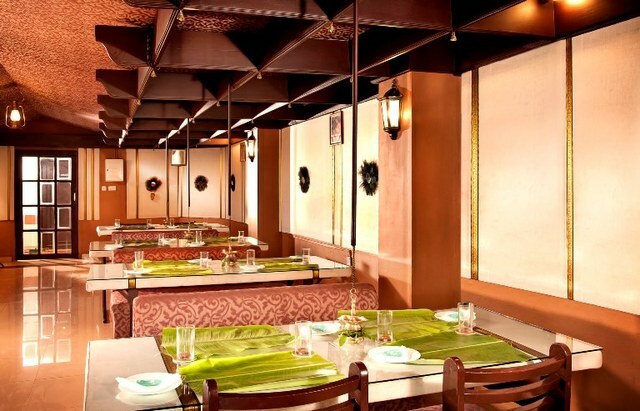 For travelling, the nearest railway station is Aluva which is 120 km whereas the Ernakulam junction is 137 km away. 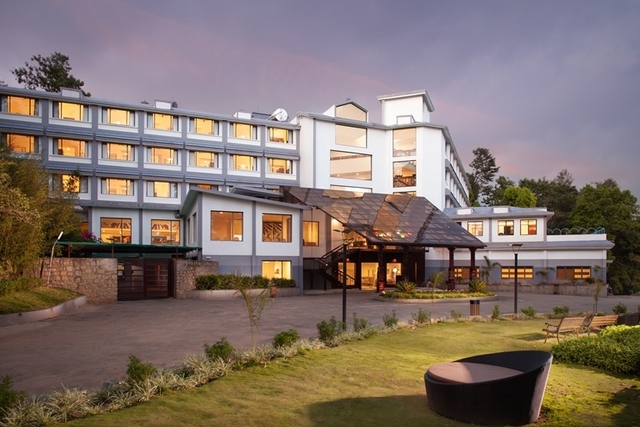 Also the Cochin international airport is 118 km. 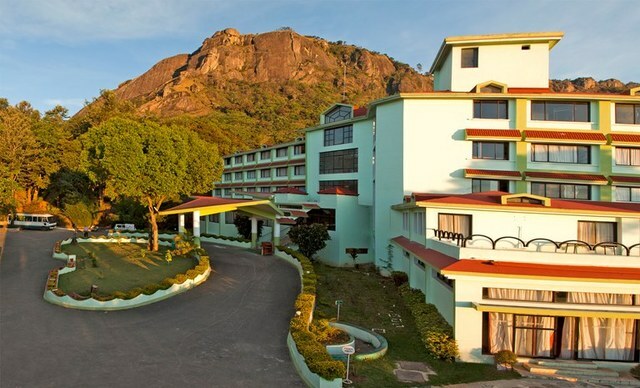 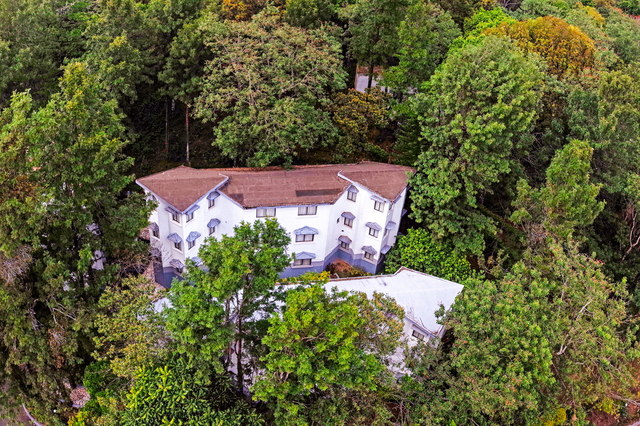 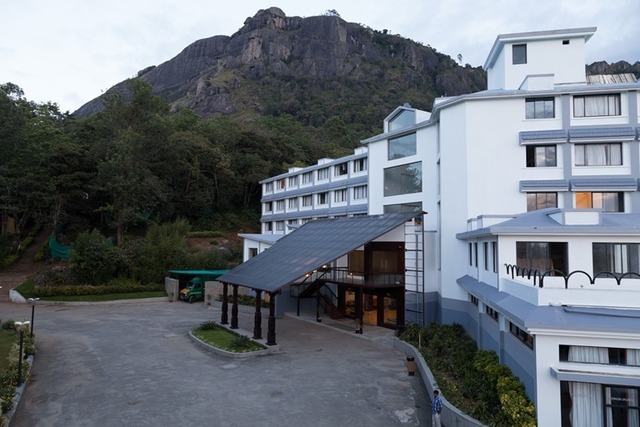 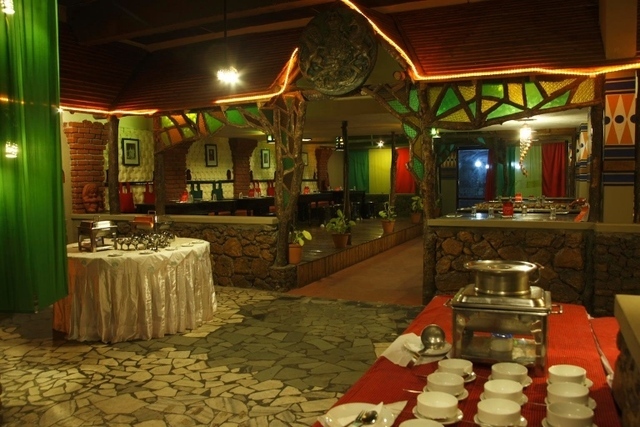 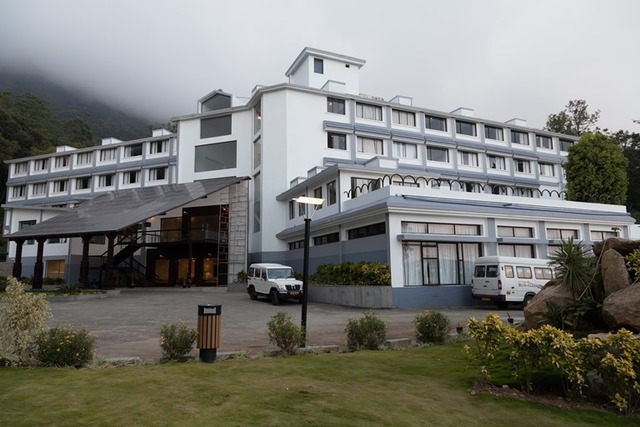 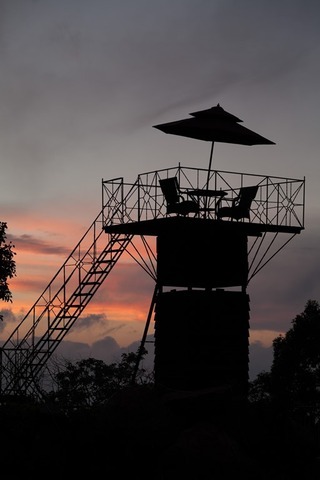 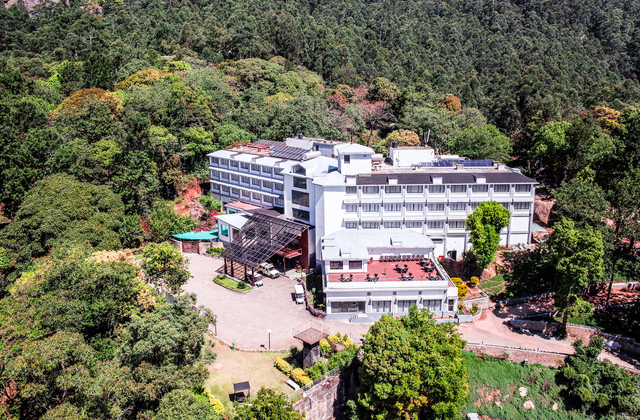 Among popular places to visit in Munnar, Anaiyirangal dam is 4 km, the Pothamedu view point is 18 km and Attukad waterfalls is 27 km from this hotel. Things to do in Munnar are plenty, nature lovers and photographers will be delighted to visit the Chinnakanal Waterfalls, Power House Falls, Periyakanal Waterfalls, Anayirankal Dam Reserve and Tea Town Kerala which are some of the tourist attractions in Munnar. 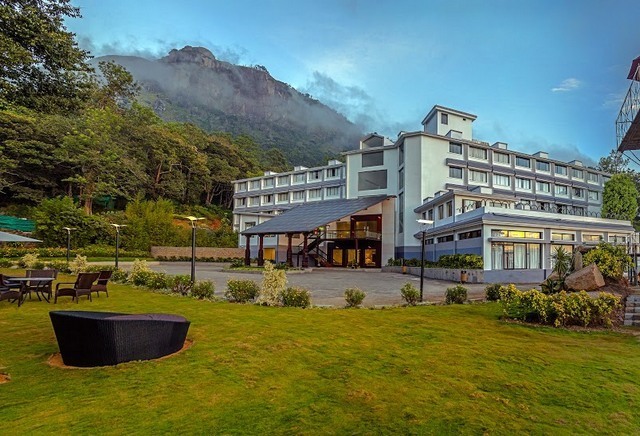 Traveling a little into the main town, tourists can purchase flavored teas, dry fruits, spices, sarees and handicrafts which are the towns special items if they go shopping in Munnar.